Whew! Here's what from Kodansha Comics made its way into the world for the first time at San Diego Comic-Con this past weekend! Tsutomu Nihei drawing a sketch for a fan at the comiXology booth at San Diego Comic-Con. 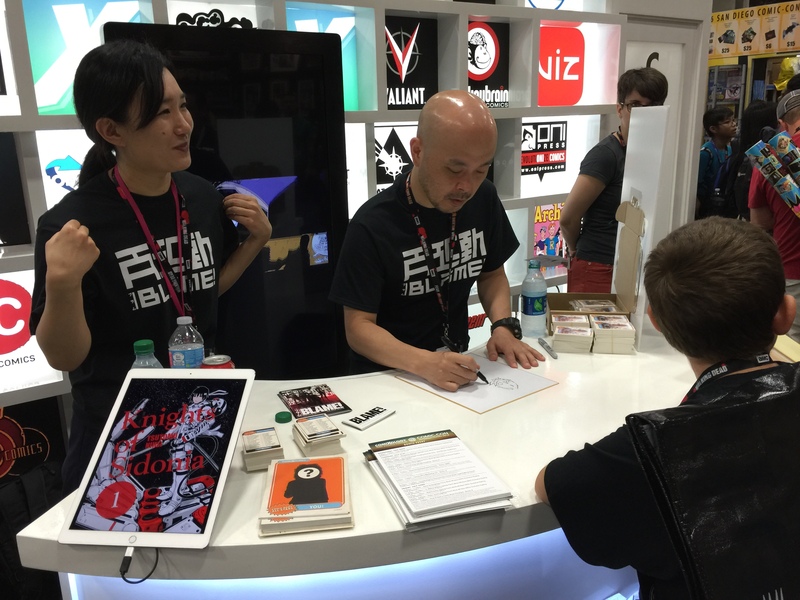 Tsutomu Nihei, creator of science-fiction megamanga Knights of Sidonia, BLAME!, and NOiSE, made a big splash in San Diego, greeting his fans and executing signings all around the con. Big thanks to our SDCC partners at Vertical Comics, 1000toys, BAIT, Bluefin, and comiXology! Attack on Titan Anthology cover revealed! 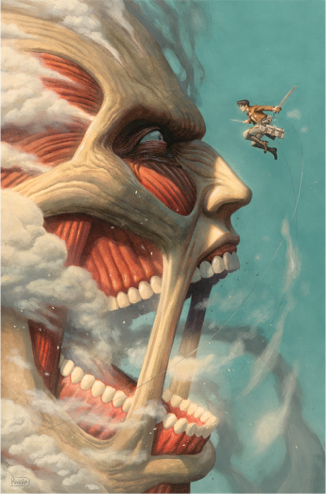 Paul Pope's transformative cover to the Attack on Titan Anthology—first seen at SDCC. 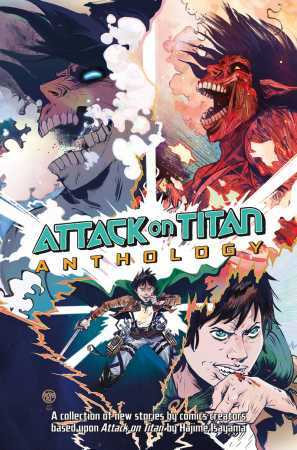 Meanwhile, at the Kodansha Comics panel on Saturday, more details around the hotly anticipated Attack on Titan Anthology were divulged, including insights to its creation and the revelation of variant covers for exclusive editions available from Diamond, Books-A-Million!, Barnes & Noble, and at New York Comic Con. 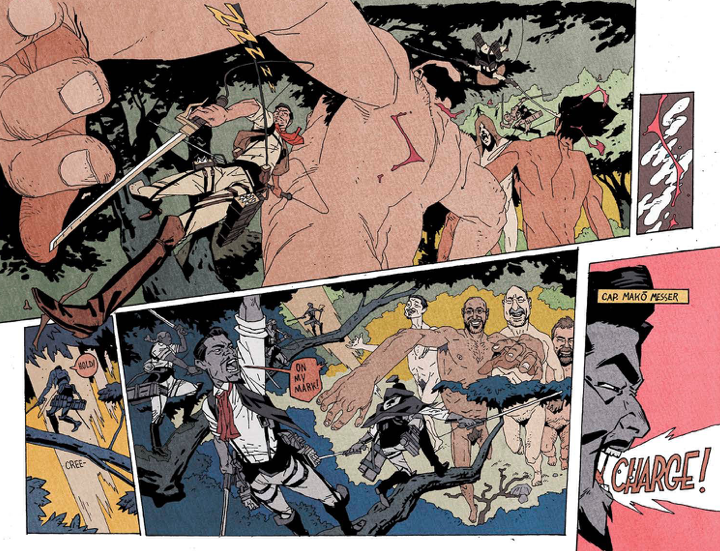 But maybe the biggest news was the world premiere of the official cover by none other than transformative comics savant Paul Pope (@PULPH0PE). Left: Paolo Rivera's Books-A-Million! exclusive variant cover art. Right: Some wild pages from the Attack on Titan Anthology story by SDCC panelist Ronald Wimberly. 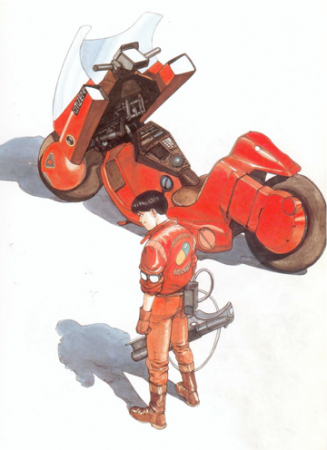 • Deluxe re-release of the original The Ghost in the Shell series: volumes 1, 1.5, and 2. • In time for the major film adaptation from Paramount Pictures!